Hodaf Arthritis Pain Patch is the only OTC pain reliever patch labeled to relieve mild to tougher, moderate pain. 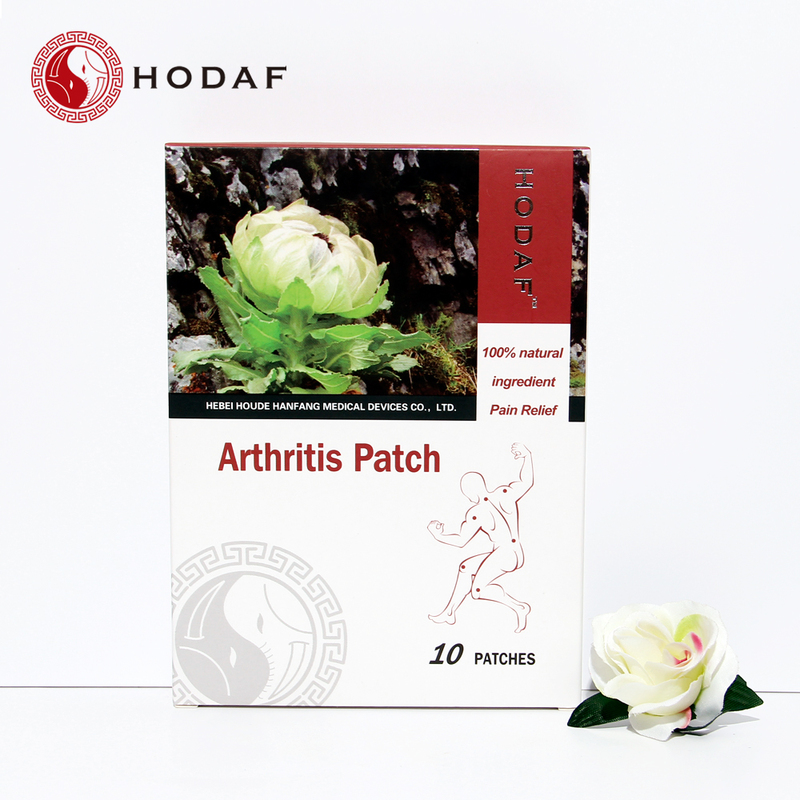 Hodaf Arthritis Pain Patch provides effective pain relief for up to 12 hours. 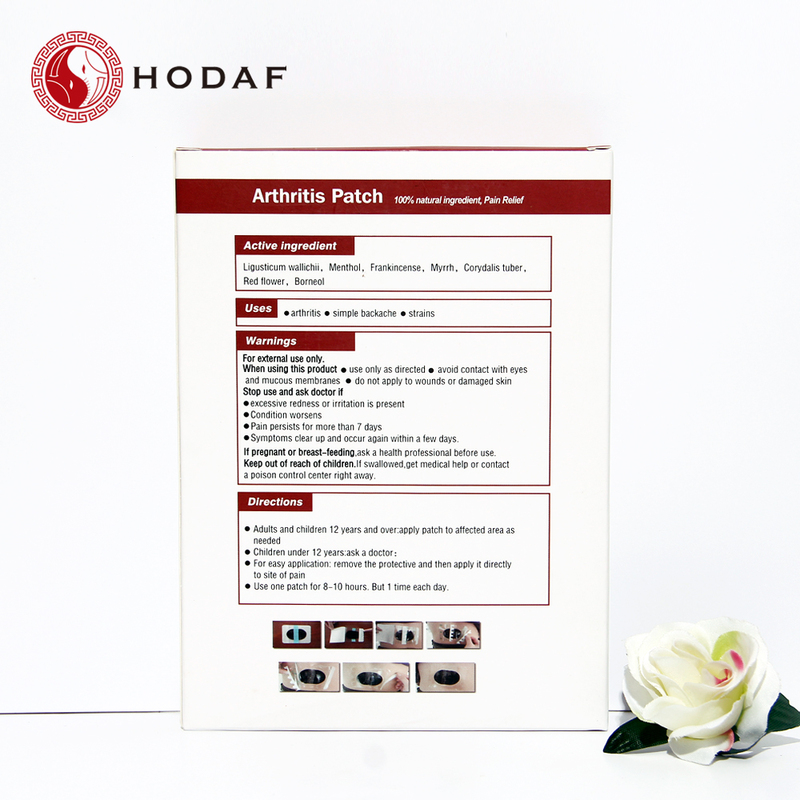 Hodaf Arthritis Pain Patch also provide a welcome alternative for pain sufferers including those who prefer to avoid the use of oral OTC pain relief medication labeled for only minor aches and pains. 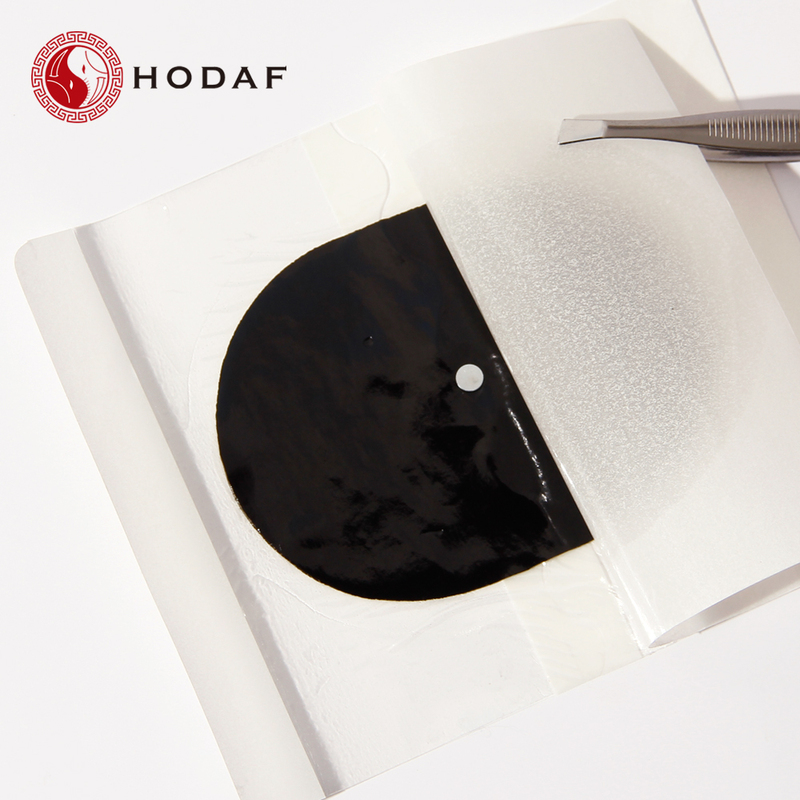 Unlike an oral medication, the active ingredients in Hodaf Arthritis Pain Patch is absorbed through the skin and go directly to the pain site. Based on traditional Chinese Medicine and the studies of experts, the Arthritis Plaster uses High-Tech and is an effective herbal plaster with scientific background. The medicament`s curing effect can last for 12 hours. After 12 hours` applying, let your skin have a rest, do not apply another Arthritis Plaster for 6 hours in the same skin area. After letting the skin rest for 6 hours, you can use another Arthritis Plaster on this skin area. The Arthritis Plaster focusing on activating the blood circulation. The Arthritis Plaster contain special active substance, bioactive factors, can active organ functions, improve microcirculation, accelerate the absorption of nutrition, and convert pathological cells into healthy cells. It can active the formation of cells, which can amend the pathological gene and change it into the normal gene. 2. The medicament`s curing effect can last for 12 hours. After 12 hours` applying, tear the Arthritis Plaster down, let your skin have a rest, do not apply another Arthritis Plaster for 6 hours in the same skin area. After letting the skin rest for 6 hours, you can use another Arthritis Plaster on this skin area. 3. One treatment period is 20 days. 1. A few people have a sensitive skin, stop using that, there is no need to do. 2. To Use only as directed, avoid contact with the eyes, mucous membranes, rashes, wounds or damaged skin. before using Pain Relief Patch . Looking for ideal Pain Plaster for Box Packing Manufacturer & supplier ? We have a wide selection at great prices to help you get creative. All the Pain Relief Patch Highly Technology are quality guaranteed. We are China Origin Factory of Hot Sale Pain Plaster. If you have any question, please feel free to contact us.